Join David Gray this Friday at Evergreen Wine Cellars for Italian Wines! Those of you keeping track know that I (David Gray) have accepted a position with one of my favorite wine distributors to sell Italian wines throughout the Portland area. Vinifera wines has a 30 year national reputation for carrying the finest Italian wines produced, including names such as Fontodi, Felsina, Valdicava, Rinaldi, Canalicchio di Sopra, Giacomo Bologna and many more. Some of my favorite wines at Salut! Wine Co. have been selections from this catalog. I am excited to have been invited to present some of these wines to you at Evergreen Wine Cellars this coming Friday! For just $10, from 5-8pm, July 31st we will be sampling through a selection of 6 wines in Pam’s wonderful shop on Evergreen Blvd. (map). A refreshing and clean wine with an excellent bouquet of white fruits that leaps from the glass. The finish is very crisp yet soft on the palate. 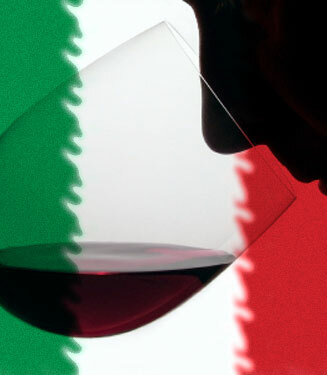 This hearty Sicilian red offers rich aromas of ripe red fruit, herbs and chocolate. It is a very juicy wine with refreshing acidity on the palate. Namesakes Stefano Caruso and Mario Minini teamed up in 2002 to revamp the wines of this 19th century winery in Marsala to produce great value wines from indigenous grapes as well as a line of reserves that shows off a range of blends and terroir-driven wines. 9 months of oak aging allow the ample structure to develop, while harmonious flavors of toasted almonds, apple, dried fruits and melon blend as well. Aromas of ripe fruit, spice, plum and tobacco greet the taster, with mouth-filling body to pair with roasted and barbequed red meats, casseroles, and charcuterie. The outstanding value wines of Mormoraia are sure to impress. With vineyards situated in the heart of Tuscany, and a panoramic view of the beauty of the Chianti hills and San Gimignano towers, they produce world-class olive oils as well as delicious Sangiovese and Vernaccia red and white wines. There are few if any Soave examples this rich, powerful and savory. A match like no other for tasty fish, Pasta e fagioli, soups and white meats. Located in the heart of the Soave region, in Verona, is the team of two brothers. One is a skilled modern oenologist, the other a talented vineyard manager recognized for the invention of new training systems for vines. Their obstinace, devotion, experience and passion place them among the best Soave wine interpreters. Still-youthful fruits display dried aromatics with light sage and dusty berry. Firm acidity is balanced with a full-bodied palate. Grandfather Primo Panceti has left his relatively new (1977) and small (15 hectares) winery & vineyards to his grandchildren Simonetta, Marco and Francesco who run the operation today. His position in leadership at the consortiums of Montalcino winemaking hint at the greatness in the firm traditions exhibited in the wines here. The tasting will be Friday, July 31 from 5-8pm at Evergreen Wine Cellars, 2608 E. Evergreen Blvd. in Vancouver. Call Pam at 360-993-8880 for more details.